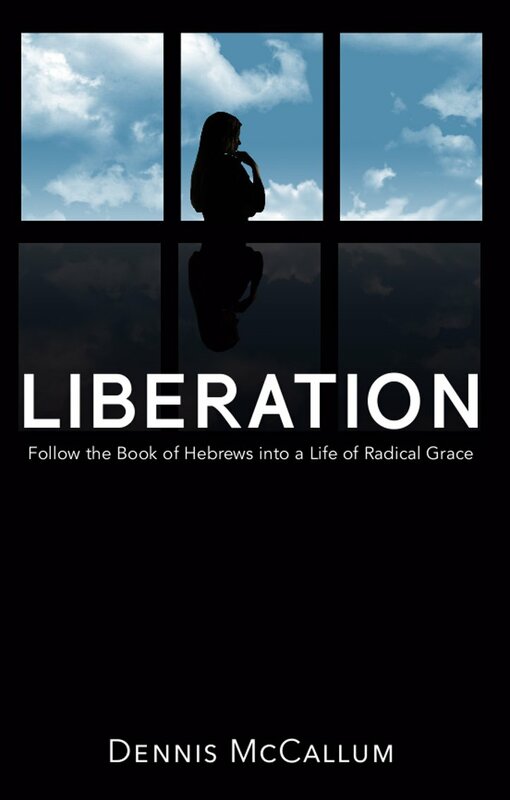 For more information on Melchizedek in the Bible, check out Dennis' new book, Liberation! When reading these two passages, Christians can easily become totally confused and give up. Yet, these are surely two of the richest passages in the whole of Scripture. Therefore, the author rebukes those of his audience who have no taste for meat (5:11-14) and who are therefore immature. They couldn't understand, and it will be even harder for us to do so, since we have none of the Jewish liturgical background they did. For this reason we will have to start with some background considerations. The issue at hand in this passage is priesthood. We today can hardly understand the importance of this office to the Jewish people for whom the book of Hebrews is written. Based on Old Testament teaching, these people were raised with firm convictions that a priest was absolutely necessary in their relationship with God. The priest was a go-between or an intercessor between man and God. Such a person was necessary because of the Holiness of God. Holiness means God is totally separate from fallen man and, in a real sense, unapproachable. For this reason, God ordained that certain men who were ritually cleansed in a special way should approach him on behalf of the people. These men were chosen by God for the office. They would give sacrifice to God which symbolically atoned, or paid for the people's sins. We see this principle at work very early in the story of Job (42:7-9). When God established His covenant with the Jews at Sinai, he chose one family to act as priests. This family was the family of Aaron and in addition, Aaron's tribe, the Levites. The book of Leviticus is written to instruct the "levitical" priests on how to perform their service. One example of their service is the day of atonement. On this day, among other things, the priest in charge would give an animal sacrifice for the forgiveness of the people's sins. He then would take some blood (a symbol of death) from the sacrifice and enter the small cubicle where God dwelt in a special way. There he would display the blood symbolically to God(1) thus demonstrating that the sacrifice had been given--a life had ended, implying that the wages of sin (death) had been paid. (See Leviticus 17:10) Only the high priest could come into this cubicle in the temple. If any one else came in, he would be struck dead. This rule was so steadfast that, according to later tradition, a rope was tied around the priest's ankle so that, if he collapsed or died while in the cubicle, he could be pulled out by rope rather than have someone else go in for him. You can see how this demonstrates the unapproachability of God. At the same time, it shows the definite need for a priest to represent us as sinners before God. Things to Notice: These points are briefly stated in Hebrews. Priests give sacrifice to God and represent the other peoples (5:1). Priests must be cleansed in a special ritual way (5:3). Priests are chosen for the office by God (5:4). As mentioned above, a Jewish priest must be from the tribe of Levi. The author of Hebrews intends to show that Jesus is in fact the only ordained priest that God has for believers. However, Jesus was not from the tribe of Levi but from the tribe of Judah. (See Heb. 7:13,14.) This means that according to Mosaic law, Jesus lacked the first requirement for priesthood. Besides this, even if the readers of Hebrews granted that Jesus was a priest, He was no longer on earth at the time the book was written. This would mean, according to Old Testament law, that some one should take over to perform the services in the temple. In other words, even if Jesus had been a priest, He would not have been one after His ascension. The Jews to whom the book is written are apparently somewhat confused as to what they believe. They are willing to admit that Jesus is the promised Messiah of Israel. Along with this, they probably believed that He would return to rule the world. However, for the reasons mentioned above, they were not sure where they stood in relation to ritual Judaism. Since they could not be sure that Christ was the only ordained priest, they felt it could hardly do any harm to offer sacrifice in the temple as well. This way they would have "double coverage" and they would avoid persecution from fellow Jews for denying Judaism. According to the author of Hebrews, this solution was intolerable. We will see the reasons for his strong stand in the section "So What?" Now let us see his argument. The author's task is indeed great. He must prove, using only Old Testament scripture, that Jesus is our only priest, not only during his life, but for all time. Anyone intending to approach God must do so through Him alone, thus rendering the Old Testament ritual cultus obsolete and even blasphemous. This passage introduces us to a rather obscure Old Testament figure named Melchizedek. Melchizedek is a priest. Yet the priesthood was not established for at least 500 years after this incident! This incident occurred in roughly 2000 BC, but the priesthood referred to in Leviticus was set up in the 1400's BC. Obviously, this man must have been a priest in some order other than the levitical order. This unusual man meets the great patriarch Abraham one day as Abraham is returning with the booty he has won from a battle with some enemy troops. There a very brief but very strange transaction occurs. Notice verse 19. Melchizedek blesses Abraham. According to Biblical and ancient practice this means that both Melchizedek and Abraham realized that of the two of them, Melchizedek had greater stature. Fathers, for instance, always bless sons. The son would never pronounce a blessing on the father. Yet, while Abraham apparently viewed Melchizedek as greater, he was himself probably the greatest name in the whole Old Testament! He was the father of the Jews, the father of all the great men of God who followed after. When we realize how great Abraham was it becomes doubly hard to understand how Melchizedek could be even greater. In addition, notice that Abraham gives a tithe of his booty to Melchizedek. This also indicates that Abraham recognized Melchizedek as his priest. Both the blessing and the tithe point to the same thing--the great stature of this man. He stands as a priest at a time there were no priests, and holds a stature greater than the patriarch Abraham. Clearly, if Melchizedek appeared at the time of the writing of Hebrews, all lesser priests would have to step aside and give way to him. When you think about it, this short incident proves that there is such a thing as a priesthood which is wholly outside of the Jewish people. After all, Abraham was the only living Jew at the time this story occurred. Think about this in relation to the question of whether Jesus qualifies as priest for all believers. If he were a priest like Melchizedek, it wouldn't matter that he wasn't a Levite. If only the author of Hebrews could somehow find a passage linking the Messiah to this sort of priesthood, he would win his case. He would have proven, using only the Old Testament, that Jesus is the sole authorized priest of God. 1 Of David. A psalm. The LORD says to my Lord: "Sit at my right hand until I make your enemies a footstool for your feet." Note in verse 1 that King David says "The Lord says to my Lord..." The first Lord is Yahweh. The second is Adonai. This second term is one of three common names of God in the Old Testament. It could in some cases be used of a ruler much as we might refer to the house of Lords. However, David, himself, was an absolute monarch. Who would he refer to as his Adonia? The most likely answer is "the Messiah." This is how this Psalm has been understood by early rabbis and by the New Testament. It is a prophetic Psalm describing what the Father will do for the son. Now read verse 4 "The Lord has sworn and will not change his mind: 'You are a priest forever, in the order of Melchizedek.'" The Father promises the Messiah that He will be a priest according to the higher order of Melchizedek. This eliminates the first problem given above. Since Jesus is not to be a priest in the levitical order, He need not be from the tribe of Levi. Also He is a priest forever. This eliminates the second problem above. No one is to take over when He leaves. Isn't it amazing that with one mention of Melchizedek in 2000 BC only three verses long, and another in 1000 BC only one verse long, we have ironclad proof that Jesus Christ is the only proper priest then and now? This should teach us something about the Word of God. Although the book spans 2000 years, it is a perfect unit. Also, it seems plain that the author of Hebrews would never have been able to put this all together by himself. God directed him to it. It is interesting to notice that the name Melchizedek comes from one Semitic root which means "king," and another, which means righteousness. His name literally means King of Righteousness (Heb. 7:2). Also, He was the King of Salem. Salem is the word from which comes "Shalom" or peace. Therefore here is also the "King of Peace" (Heb. 7:2). Another strange thing is that as great as this man was, we are given no explanation as to why. Usually a genealogy is given to show that a great one is from some special family (see Mt. 1:1-18). This was more important to ancient and medieval culture than it is today. It would be especially important in the Bible where God so often deals with families and nations. But in this case genealogy is given (Heb. 7:3). Could it be that Melchizedek, the King of Righteousness and Peace was in fact Jesus Christ Himself? That's what some interpreters think, based on Hebrews 7:3 and 8. (4) If this is right, then Christ, Himself, must have appeared in this case as He did again in Gen. 18:16-33 for some special reason. Probably He foresaw that the priesthood question would become a problem later, so He intervened at this time to solve it. Then by inspiring David and the author of Hebrews to make the appropriate comments, the new arrangement was clarified. Other interpreters see Melchizedek as a type of Christ. The comment in Heb. 7 that "without beginning of days or end of life, like the Son of God he remains a priest forever," would be referring to Psalms 110 according to this interpretation. There, as we saw, Messiah is a priest forever. Also, they point out, Melchizedek was king of an actual Jebusite city--Salem. Whether Melchizedek was Christ himself, or a type of Christ is not really important because either way, the lesson is the same for us--Jesus Christ is the sole authorized priest for all time, completely and permanently replacing the Old Testament priestly cultus. When we establish the fact that Christ is our sole Priest, we have not gone far enough. We have yet to ask "so what?" The facts in scripture are not alive until we apply them--first to the people they were addressed to, then to ourselves. Why is God inspiring the author to make such a big deal out of the eternal priesthood of Christ? Why are Christianity and Jewish Priestcraft incompatible? We find the answers to these questions in the remainder of Hebrews 7. In Heb. 7:11 the writer asks his audience, "If the Levitical priesthood is so great for bringing man and God together, then why did God start planning for a new order way back in the time of Abraham?" It should be obvious that the Mosaic system was never intended to be the ultimate solution to sin, but only a temporary teaching experience. However, another important factor comes in at this point. "On the basis of it (the Levitical priesthood) the people received the Law." This statement reflects the two part covenant form of the Mosaic law. On the one hand, the people were given commandments (i.e., the ten commandments) and told that they must obey them. On the other hand, if they did disobey, they would seek forgiveness through some of the temple rituals. This formed a second clause to the covenant. If the second clause is abrogated totally, what does this say about the first clause? It says that the first clause is also totally abrogated. So we see that what is at issue here is very grave indeed. Verse 12 says "When the Priesthood is changed, there takes place a change of law also." Mixing Jewish temple ritual with faith in Christ really constitutes mixing works with grace. Our acceptance by God must come only by believing in Christ's sacrifice of Himself for us on the cross. To worry about whether they should add their own sacrifices as well meant that they doubted Jesus' sacrifice was good enough! This is clearly an intolerable stand. Imagine how it must have grieved the author of Hebrews to see this trend in the Jewish church. No doubt he had spent his life teaching them to trust in the grace or free gift of God through Christ. Yet now his hard work was going up in smoke before his eyes, because they were turning to their own works for assurance of salvation. No wonder he makes a big deal out of the abrogation of the Mosaic law! He realizes that their life and faith will suffer shipwreck if they continue in this direction. In this sense the priesthood of Christ begins to also apply directly to us today. Many times we tend to feel that good works on our part will make us in some way more acceptable to God. Sometimes this is explicitly or implicitly taught from the pulpit. We know this because many Christians who attend evangelical churches (who should know better) still believe that Christianity consists mainly of obeying the Ten Commandments, etc. This lack of clear focus concerning the essence of true spirituality, present now as then, is dealt with emphatically in chapter seven. Look at verse 18. "On the one hand there is a setting aside of a former commandment because of its weakness and uselessness." This must have sounded like pure heresy! How could the law of Moses be weak and useless? Even more outrageous would be the suggestion that it should be annulled or set aside. Notice that the word for putting away here is the same as the word for "putting away sin" in chapter 9:26. This is a very strong statement! Now to those today who love the law--who feel that it cannot be dispensed with in the Christian life--we have only one question. Why does the Bible teach that the commandments are weak and useless? One answer that might be given is that this only applies to the ceremonial portion of the law of Moses. However, this could hardly be true. In II Cor. 3:7, Paul speaks of the "ministry of death inscribed on stones." This is obviously a reference to the Ten Commandments themselves! Yet they are called the ministry of death. This is coupled to the preceding statement, "We are...servants of a new covenant, not of the letter, but of the spirit, for the letter (the ministry of death) kills, but the spirit gives life." Paul is saying here that legalistic living produces alienation from God. When we try to please God with works of law we always fail to keep the rules as we should. This always leads to feelings of guilt and shame when we approach God in prayer. The only other possibility is to rationalize our sin or pretend that our good works outweigh the bad, and such dishonesty is also a barrier to fellowship with God. Paul calls this alienation death. Instead he says, we are now servants of the new covenant of the Spirit. Hebrews 7:19 says the same thing. After saying that on one hand there is a setting aside of the former commandment. . . he now says, "On the other hand there is a bringing in of a better hope through which we draw near to God." This "better hope" is the new law-free relationship we have with God. With Christ as our priest and sacrifice, we know that all our sins are surely forgiven. Therefore there is no need to feel shame or guilt, or to rationalize our sins. As far as lifestyle is concerned, in Hebrews 10:16 God says, "I will put my laws upon their hearts, and upon their mind I will write them." We have the Holy Spirit actually living within us. He is able to tell us what to do and give us the power to do it. As a result we can "draw near to God" without fear of any kind. Let us not forget, however, that this kind of relationship is only possible when we first "set aside" the old system of works. This is very misleading. You still must obey the Ten Commandments. Jesus said He did not come to destroy the law but fulfill it. We no longer have to sacrifice animals for the remission of sins. Because Jesus Christ was the sacrifice once and for all. Jesus says at the White Throne Judgement He will be approached by those who say Lord Lord in your name we have prophesied healed the lame, the blind have seen and the dead have come back to life. It says He will turn to them and say get away from Me you who have practice lawlessness. They will be cast Into the fire. Those who practice lawlessness and teach others to do so face judgment. Very good article. I would like to know if you have commentary on these verses? If we are made kings and priest, we are under Jesus, so if He is our High Priest after the order of Melchizedek would we be of the same order? I know this is a controversial subject. I understand that he is the high priest, and we are regular priests. Jesus is the King of Kings and Lord of Lords. The Kings and Lords of who he speaks are the Royal Priesthood, that is Melchizedek Priesthood. I believe that the Lord has confirmed that to me. I read Galatians 4 1 "Now I say, That the heir, as long as he is a child, differeth nothing from a servant, though he be Lord of all; But is under tutors and govenors until the time appointed by the father. I respectfully asked God if we are Lord of all as his word implies. I didn't want to challenge his authority, so I added, "I know that you are Lord of Lords and King of Kings!" I knew that was his answer as the words came out of my mouth. The Lords and Kings of this earth are not His! They are of their father, and it is not him. I don't believe that all of His people are a part of the Priesthood, but I have no confirmation of this as fact. Hi, I think Jesus is the high priest and we are regular priests. Also, he is king, and we are princes/princesses. I very much liked your article and the points you elaborate on. However, I've always been bothered by other scripture (Jer 33:18) in which it is stated that a Levitical priest would never lack a man to offer sacrifice in the presence of the Lord. With Mary and Elisabeth being related, and Zechariah being a Levitical priest, isn't it possible that Jesus is descended from both Judah and Levi? Jesus could have some levitical blood, but is not considered a levite. However, because of that verse, Levite are the only tribe of Jews that keep track of their identity. Jews with the last name levi or cohen are levites. They keep track of that in case the temple comes back. In your comments on Melchizedek, you stated, "After all, Abraham was the only living Jew at the time this story occurred." I believe you are mistaken. Jews are descendants of Judah, the great-grandson of Abraham. Abraham was therefore not a Jew, and only some of his descendants are Jews. As I understand it, the descendants of Abraham are Hebrews; the descendants of Jacob (Israel) are Israelites; the descendants of Judah are Jews. Would not legalism be the same as buying affection? If Christ kept all of his Father's commandments and came not to remove the law but complete it wouldn't the complete rejection of the law be a rejection of God's foundations for a holy nation? The original laws seemed to be given in hopes that a people whom love God would keep them but because human love is weak and prone to corruption the law thus is cheapened and leads to death of love and the growth of spite, hypocrisy and hate? Thus legalism is rejected out of acknowledgement that faithfulness is only holy and godly if done out of the Love we have for God and his ways. His burdens are light, the law is not a burden to one who loves to please him. Perhaps then Love is the missing key, not the law itself being replaced as God placed it there and his son chose to honor it throughout his life. It was man that decided to reject all of it and to alter it as God warned us not too but Christ nor Paul directly told us to ignore and disregard it but I feel they instead enforced that it's only worth is when followed out of love and even the cases for Christ going against the Lord seemed to flow not out of spite or rejection but love for others and the love of the laws purpose. He rejected legalism that put laws over the heart of love God has for others. I see many Christians whom reject the law and seem lawless, they seem to focus on God's love and mercy being a safezone more then loving God for his love and mercy. The ending of temple worship and the ending of sin sacrifices seem to fit with this desire to put the individual into direct responsibility for their worship and that means love. If you love someone and they love you then you don't need to buy it and true favor expects failure and loves in spite of it in the hopes that love is returned and you treat that person with it by keeping their request/desires in mind as you act. The overt did not reflect the constant sinfulness of their hearts and is why God said that whosoever believe will be saved. Belief means a reaction is to be made and it can only be confirmed by loving and desiring God above all else. It seems like these Jewish Christians were struggling in their belief that God could love them without his gifts, which risked paganizing him. Their love was twisted by that lack of faith in their value and worth to him and showed that they still didn't love God for who he is. Thus urging one away from the law could be a way of saying "you can't buy God love, you can't buy salvation with temporary shows of affection give him you hearts and souls". Perhaps this then gives purpose to the Churches title as the bride of Christ. A bride doesn't need to buy her Fiance's love, she shows it by being a loyal and obedient lover. One who assist and accounts for his will. I don't know but I think to fear the law is to fear and reject God's wisdom on how to focus man (who without Christ was childlike) onto proper living and growth on a national and personal scale. This is then augmented by the grown child loving his parent's authority and teaches and then finding a lover whom embodies a nature like their parent. This is a fascinating book. I found chapter three to be particularly controversial yet exploitative in its conceptual ideologies. Wow! Thanks for the clarification. Reading the Bible, I always wondered if, when we say "Jesus will come again", this means He has come before but did not see any clue in the Bible apart of course from His birth. I guess it now makes sense to me that through Melchizedek, King of Righteousness, King of Peace, Jesus appeared not only before Abraham's time but in Davis' time before His coming as The New Covenant. Thank you for clarifying the fact and confirming my belief that Jesus is the one and only Priest that truly links us God. Definately He will come again to judge the living and the dead and who knows? Maybe under a different name. By the way your statement on the 10 commandments is also spot on as Jesus himself said only 2 commendments are effective: "I am the Lord thy God. There is no other god but Me" and "Love one another as I have loved you". Again thank you. I have enjoyed reading your statement. The commandments are written in Revelation14:12. How do you think that only 2 are to be kept, when you are able to keep all. Yes, the two are to be esteemed because by keeping 2, you will be able to keep the other 8 out of obedience for the love of Yah.Why do you take away from the scriptures? It says what is says, there is no need to add or take away to make your sin more convenient. The scriptures do not need interpretation. Although, I do understand using precept to understand precept. This is allowed, but to sum up: The Ten Commandments still stand as the Messiah himself said he was sent to Fulfill them. Thank you for clarifying the meaning of the priesthood of Melchizedek. I am not a scholar but love to learn and always seem to have questions about the bible. It helps me to understand the related ideas concerning the old law, forgiveness of sin, and grace and works. I see the connection now from Genesis to Jesus. Well done. That missing link really nailed it.I never foresaw such a verse would be there,yet given it was said by Abba,I am in full agreement in faith. However,on that part if that High Priest was Christ,it clearly says..."like the Son of God"...therefore,annulling the possibility of him being Christ. Also,as mentioned,he was an actual man-actual King of an actual place.Jesus wouldn't have come before His time,it would contradict many other prophesies like of Isaiah that came after;let alone the Synoptics. I would say,in your own words of how a High Priest came to be,"He had to be chosen by God to office" and also righteous,but having been a real man-hence the word "LIKE" a son of God. Imho,one is a foreshadowing of the other...a smaller taste of the greater to come. Like Job's trial foreshadows the trial of the endtimes... Christ is HIGH priest and king of kings.. while the other is a priest and a king...big difference but as mentioned it establishes the precedence for preisthood outside levictical requirements... ever notice that of the three groups of 'jews' only two are admonished by christ..the third which modern scholars refer to as the nazerines, essenes and mt carmel 'monks' were in fact sects of the order ..this order persisted and still does, as do copykats. Thanks for the encouragement. Good to hear these are helping people. that article was exactly what I was looking for! well put together sir. thank you for 'connecting the dots' for me. I'm coming out with a book on Hebrews later this year, so keep an eye out for that. I am overwhelmed by Gods graciousness towards me, and all people. This is an incredible act of pure love poured out on humanity. Gal 4:6 ...God has sent the Spirit of his Son into our hearts, prompting us to call out, “Abba, Father." God, the creator of the universe, Supreme Lord over space and time...my Daddy? I am undone and overwhelmed. I can never repay such radical graciousness toward me. Can any of us? What should be an appropriate response in light of this great reality? Gal 5: 6...What is important is faith expressing itself in love. Gal 5: 13...use your freedom to serve one another in love. Our needs are fully met, are they not? So let us engage one another in serving love. This is what Dad wants. Whoo-Hoo!